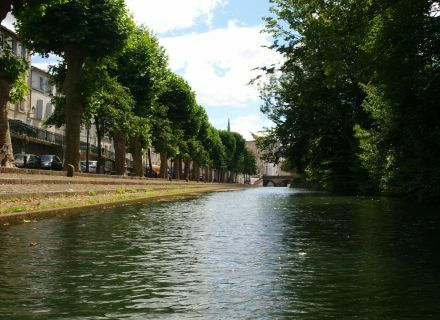 Home / Le blog / Discover Niort under a new angle! 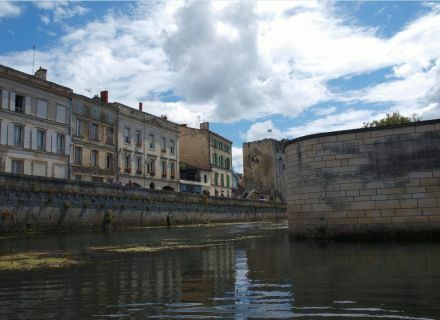 Discover Niort under a new angle! Last Friday, my colleague Ludivine told you her afternoon stand-up paddle which was a beautiful discovery for its part. Concerning me, I also ventured on a more frequent nautical activity: the canoe. 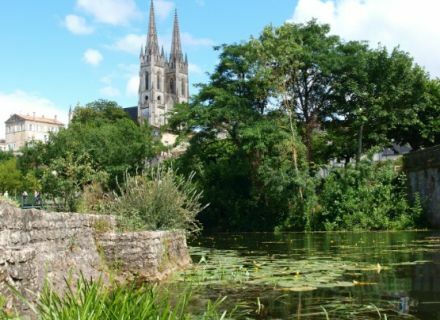 You maybe already had the opportunity to visit Niort on foot, but visit Niort on the water, it is something quite different. Given that the canoe is practised in binomial, Ludivine and myself embarked in Niort beach for a small hike of one hour. Along with the current, as high as the Sèvre niortaise, this historic city seemed to us more majestic than ever. 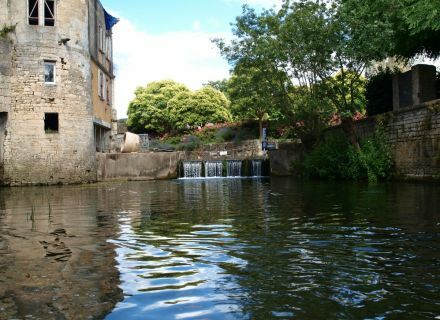 We were able to discover it numerous small bridges decorated with colored flowers, a duckling in search of a little of shade under a tree, small waterfalls here and there, the famous Donjon of Niort view from below … It seems to you harmless, but in a context as this one, these moments become magic. You do not have the sense of direction? No problem, a card will be put back to you upon your arrival so that you can be guided during your stroll. Know only that to practise one of the nautical activities of Niort beach, it is imperative to know how to swim and dive on 25 meters for your safety. Concerning packages, several are proposed to suit in each. For example, you can embark for 1 hour, in the half-day, in the day and even make a night guided tour. I do not say you about it more, try and you will see the magic operating! in Niort Crêperie "Les Petites Bretonnes"